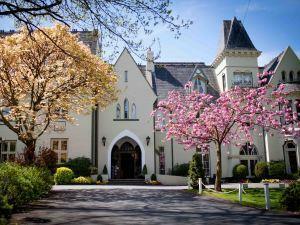 St Pierre Marriott Hotel & Country Club is built around a beautiful 14thC manor house & is ideally located only a short drive from the Old Severn Bridge. 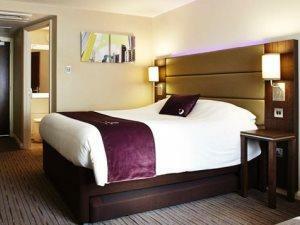 It offers outstanding accommodation and conference facilities. Dating back to the 17th Century, the historic building has been refurbished and extended to create a manor house hotel with all the necessities of modern life. 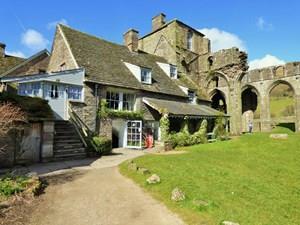 Located in the charming village of Tintern. 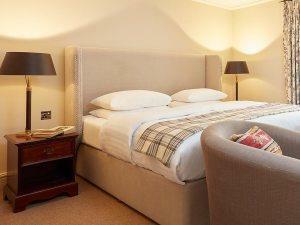 The Royal George is an elegantly refurbished hotel with a wonderful cosy and dog friendly pub and exquisite restaurant. 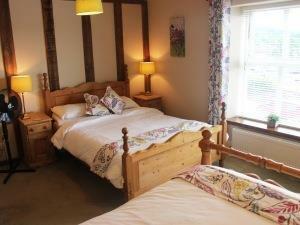 Llanthony Priory is the ideal place to truly rest and relax. 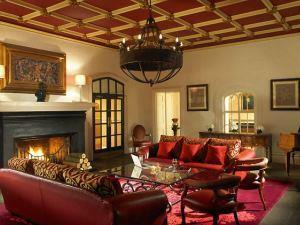 No televisions in the rooms, no mobile phone signal. Completely switch off from the rest of the world in beautiful surroundings. 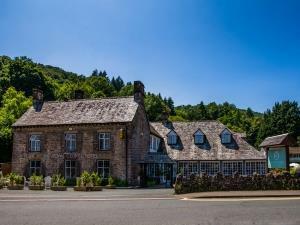 On the edge of this delightful old market town, Glen Yr Afon, a unique Victorian villa, offers all the facilities expected of a modern hotel combined with the warm atmosphere of a family home. Set in an ideal location at the heart of the bustling market town of Abergavenny, The Angel Hotel has a reputation for attentive, friendly service, great food, award-winning afternoon teas and a stylish yet comfortable atmosphere. 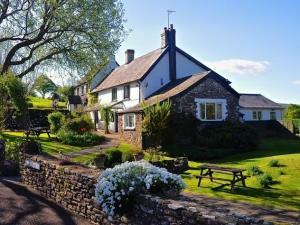 The Greyhound is a traditional country inn, situated within the beautiful Vale of Usk, offering the highest quality of home-cooked food, real ales, fine wines, and comfortable accommodation. Dog friendly. 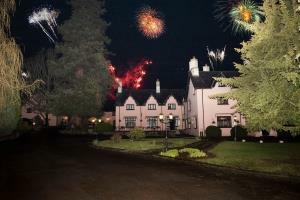 The hotel is on the bank of the River Usk, nestled into the slopes of Sugarloaf mountain in the Brecon Beacons. Views from the rooms, restaurant, conservatory and grounds are breathtaking. Service is warm, friendly and professional. 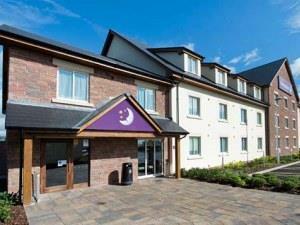 Whether you're a hiker, biker or nature-lover, our Premier Inn Abergavenny hotel is great for a short break. 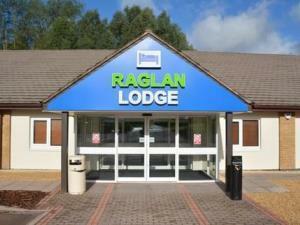 Newport newest hotel just off M4 junction 23a & located at the doorstep of the Celtic Manor & South Wales. 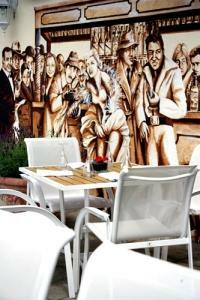 Situated within easy reach of the M4. 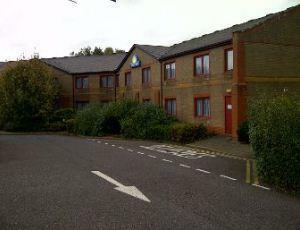 Gateway to Wales, Less than a Mile from Magor, 10 minutes from Newport, Close to Cardiff, Close to Bristol. Located in the heart of the scenic Wye Valley and only a minute's walk from the banks of the river Wye our child friendly, country pub provides real ales and a friendly family atmosphere.